My wife had to have these and in store options was just too expensive. 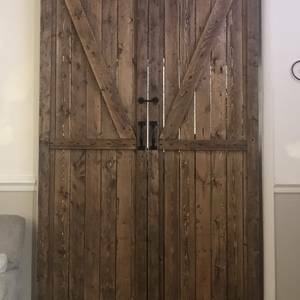 The hardware and doors are all custom and ending up being cheaper than just the bought in-store hardware not including a door. Solid build! These doors look awesome! !